Our Meetinghouse stands on an elevation and, traditionally, travelers and sailors on Long Island Sound have used our lighted steeple as a landmark. That inspires our Vision for what we believe God is calling our church to be: We are a church on a hill, glowing so brightly with the light of God’s love that we shine like a beacon, guiding seekers to come inside where their souls are nourished and transformed, growing closer to God. We are a faith family of warm welcome, respectful acceptance, shared joy and tender compassion. We embody Christ’s hope, love, and service wherever we go. ...to support each other to grow in faith. We call that promise our Covenant. Congregationalists think of their shared Covenant not as a test of faith, but as testimony to their commitment to Jesus Christ. 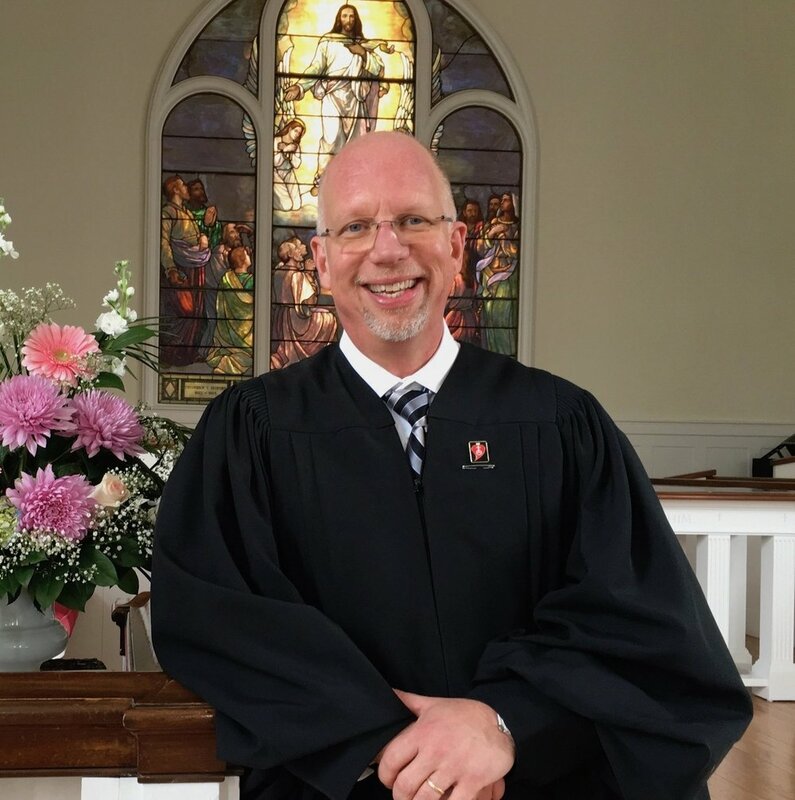 Each Congregational church has its own Covenant, created by its members. This is the Green’s Farms Church Covenant. We regularly re-affirm this promise to each other and new members commit to it when they join our church. "We hereby set forth the principles of the Christian faith as commonly held among us, believing that the foundation for our lives is Jesus Christ. "It is our aim to bring joy to little children, instruction and high ideals to youth, inspiration to men and women in the midst of life, and comfort to those in life’s later years; and to work together for the betterment of all people. "Our fellowship is not dependent upon identity of theological opinion, or of outward circumstance, or of denominational name, but grown from a common loyalty to Jesus, a common passion to serve the world, and a common purpose to do justly, to love kindness, and to walk humbly with God. "Our ideal is the church is the open mind, the warm heart, the aspiring soul, and the social vision which ever seeks to express in all walks of life, the mind and spirit of Jesus." Members of a Congregational church like Green’s Farms are united by their commitment to follow Jesus Christ and support each other. Each congregation governs itself, and is accountable to its membership. Congregations come together as the United Church of Christ. When we gather in our light-filled, historic Meetinghouse, we are following in the footsteps of the generations who have worshipped in Green’s Farms since 1711. In 1648, five families set out west from Fairfield to farm alongside Long Island Sound next to Burying Hill Beach in what is now Westport. By 1711 they had been joined by another 265 farmers who worked the excellent crop land with Indian and slave labor. In honor of the most successful farmer, John Green, the settlement became known as Green’s Farms. In 1711, the Connecticut Legislature said the settlers could start their own church, separate to Fairfield. The first Meetinghouse – a square wooden barn – was at the foot of Morningside Drive and Green’s Farms Road. 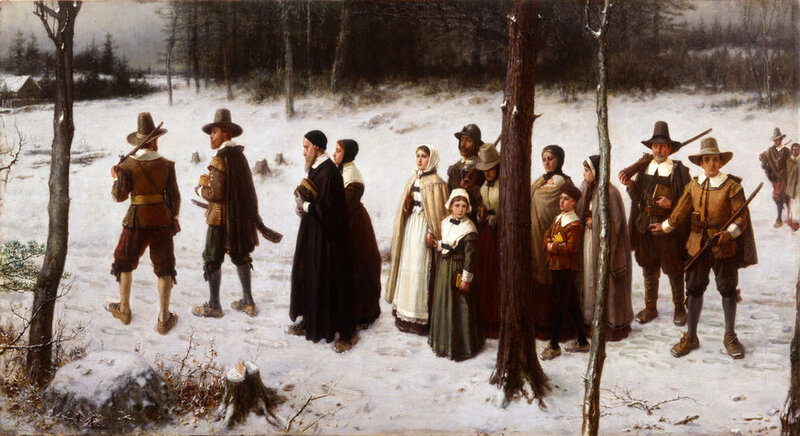 Our ancestors may have headed there on Sundays, looking very much like those in George Henry Boughton's painting above, Pilgrims Going to Church. In 1736 a larger Meetinghouse was built at the corner of Green’s Farms Road and the Sherwood Island Connector, opposite the Colonial Burial Ground, the first of two cemeteries belonging to the church. In 1779, a British raiding party burned down the Meetinghouse, the parsonage and many other homes. The third Meetinghouse went up on the site of the current church in 1789, then the building we use today replaced it in 1853. Despite the wars, snowstorms, hurricanes and other calamities of those 300+ years, people have worshipped at our church without missing a Sunday. For the full story, pick up a copy of our 300th Anniversary History at the church. It’s an entertaining read that brings to life the intertwined history of community, church, town, state and nation. Join us for worship in our light-filled historic Meetinghouse on Sundays at 10 am. Bible study is in the Parlor on Sunday at 9 am and 5 pm. 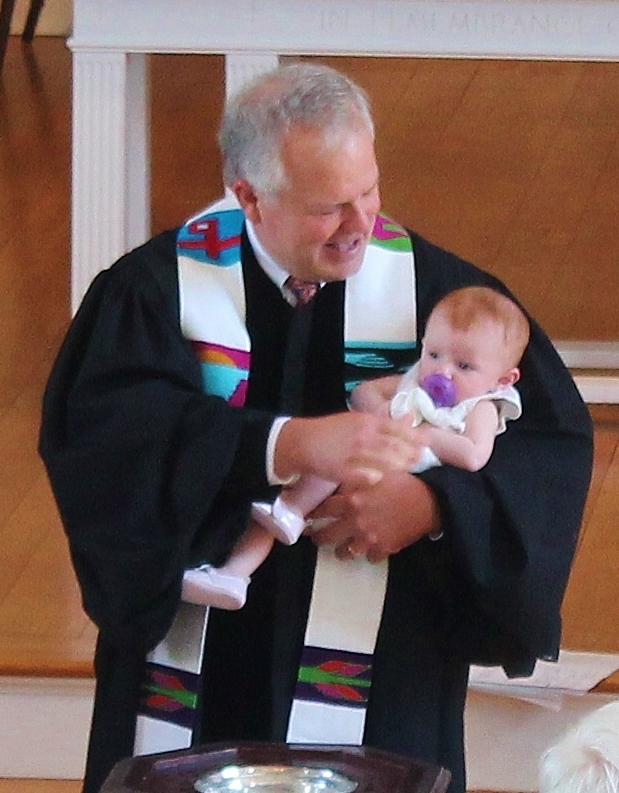 Childcare is available Sunday for babies and infants. Sunday School is offered for Pre-K through 8th Grade. After Sunday worship join us for refreshments outside or in our Parlor or Social Hall, depending on the weather.